Swamp Thing is a character that I have had some awareness of since I was a little kid, thanks primarily to the two 1980's film adaptations. It wasn't until much later that I really got into the character thanks to Scott Snyder's New 52 run. 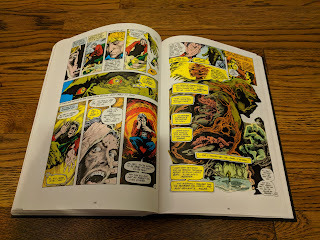 My enjoyment of Snyder's collaboration with Yanick Paquette caused me to seek out more Swamp Thing, and as one might guess, Alan Moore's classic run was what was unanimously recommended to me. 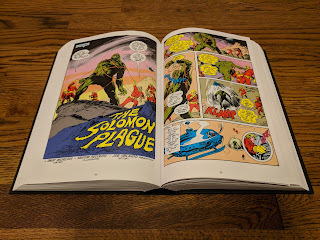 That run quickly became one of my personal favorites and since that time, I have tried to fill in the gaps of Swamp Thing's history by reading the works of Grant Morrison, Mark Millar, Brian K. Vaughan, and Charles Soule. 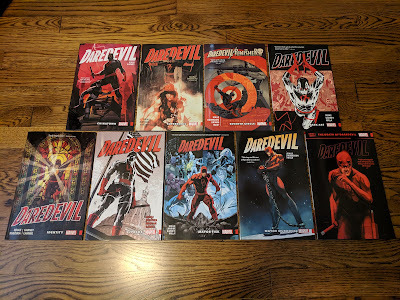 All of which have helped to my developing a healthy appreciation for the character. 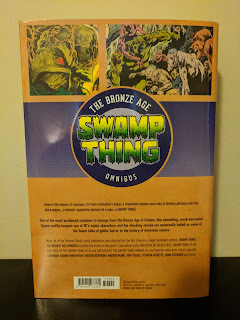 So when this Bronze Age Omnibus was released last fall, I was excited to have the opportunity to read Swamp Thing's earliest adventures and to see what had come prior to Moore's groundbreaking time on the title. This Bronze Age Omnibus collects everything Swamp Thing from his first appearance in House of Secrets (1956) #92 up to The Saga of the Swamp Thing (1982) #19 (the issue before Moore took over). So it single-handedly knocks out that gap of Swamp Thing history for me. 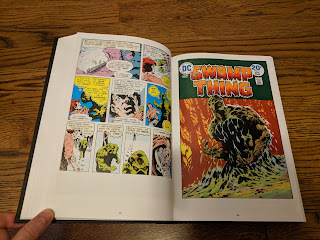 I found it very interesting how Swamp Thing creators Len Wein and Bernie Wrightson introduced the character in a short anthology story for a title like House of Secrets (July 1971) and then re-worked their creation a to launch Swamp Thing as its own book a little over a year later (October/November 1972). The basic origin-story is the same, although fleshed out in more detail the second time around. There are also some tweaks to character names and designs. It is really cool to see the creative genesis of the characters right before your eyes. 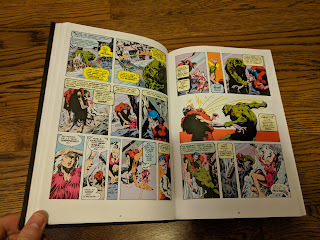 I have always heard how highly regarded Wein's and Wrightson's work on the character is, so I was actually surprised to find that neither lasted as long on the title as I had expected (Wein wrote the first thirteen issues while Wrightson drew just the first ten). 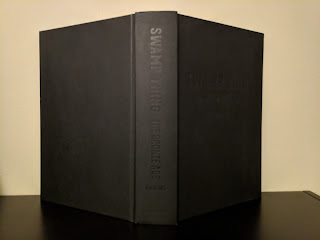 However, despite their short stint together on the title, their material is hands down the best in this collection and it is easy to see why their work is held in such high regard. David Michelinie and Nestor Redondo take over and do an admirable job following in Wein's and Wrightson's footsteps. They continue the style of telling relatively self contained stories in each issue that are loosely connected by ongoing plot threads. 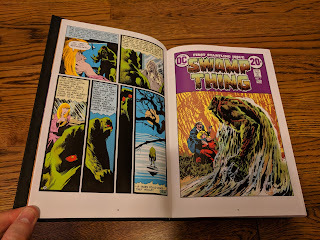 Gerry Conway takes over for the final two issues of the original Swamp Thing volume, telling a two issue story that provides a decent, if not rushed culmination for the title as Alec Holland is 'cured' and returns to human form. 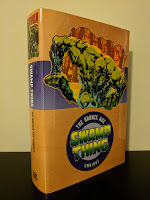 As presented in this collection though, it reads very oddly as the beginning of the next volume (The Saga of the Swamp Thing) completely ignores the events of those two issues and begins with Alec still trapped inside the monster that is Swamp Thing. 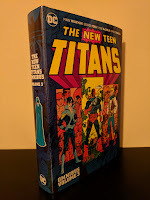 While this change is a bit jarring when read in this collection, it is important to remember that at this point, the Saga relaunch of the title came almost six years after the end of the previous volume, so the re-introduction of the previous status quo wasn't nearly as upsetting to the story being told. Martin Pasko pens all nineteen issues of The Saga of the Swamp Thing, with Tom Yeates on pencils for most of them. Artist Stephen Bissette takes over for the final four issues before continuing on to collaborate with Alan Moore (whose run will supposedly get the Absolute treatment starting sometime in 2019). Pasko's story was a bit drawn out and convoluted for my taste, but was surprisingly satisfying when it finally all came together at the end of this collection. I now have a much better understanding of just what was going on at the beginning of Alan Moore's run as he spent an issue or two playing clean up before really getting into the story he set out to tell. 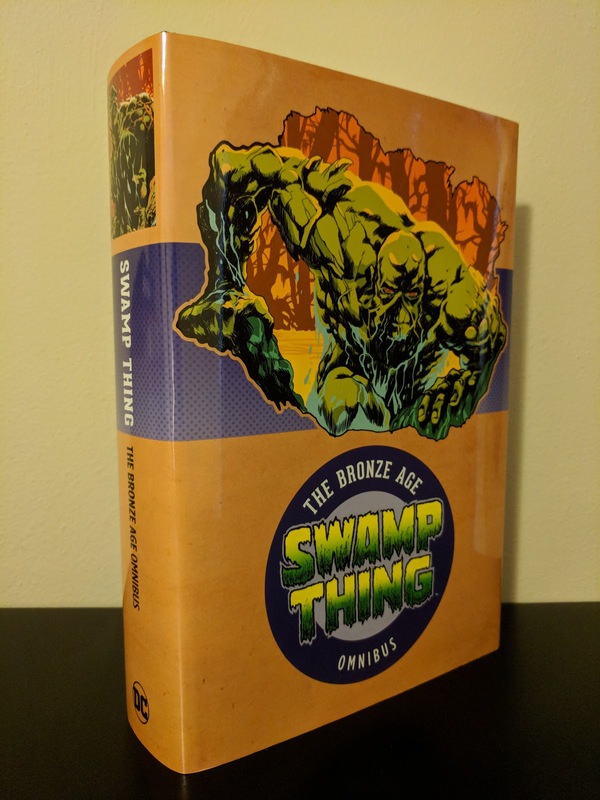 This omnibus also includes the Saga of the Swamp Thing Annual #1, which isn't so much an actual annual as much as it is the comic book adaptation of Wes Craven's 1982 feature film. As with most film adaptations, it is pretty weak. It amounts to an adaptation of an adaptation that made significant changes to begin with. It is an interesting inclusion from a historical perspective but is completely unrelated to the rest of the material collected here. There are no extras whatsoever in this collection. I'm not sure if that is standard with DC's Golden/Silver/Bronze Age omnibi as this is the first that I have added to my collection. There is a nice forward from Len Wein, originally written in 1991 and reprinted from a previous Swamp Thing collection. 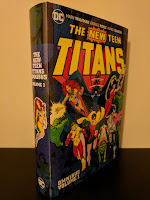 The book itself has a nice, clean dust jacket design that matches the rest of DC's Bronze Age Omnibus line and has a matte black cover, that despite its simplicity, really fits with the era of the material this book collects. 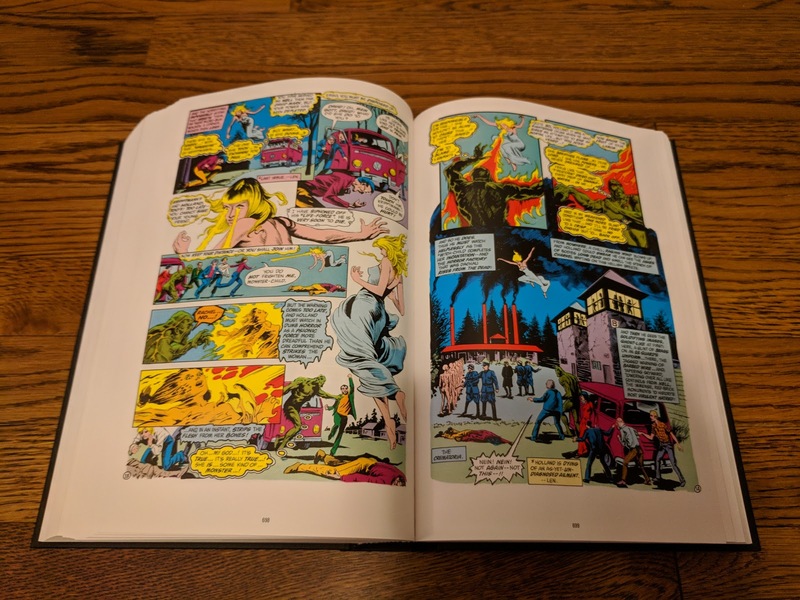 Considering that half of this material was originally printed before I was born, and the other half when I was between the ages of three and four, I was excited to finally have the opportunity to read this material. I thoroughly enjoyed it, even more so than I had hoped I would. Swamp Thing may have started out as a horror comic of sorts, but the stories in this volume branch out and implement some sci-fi/fantasy, and drama elements as well. If you have any interest in Swamp Thing's origins and early adventures before Alan Moore got his hands on the character, then this is the book for you. 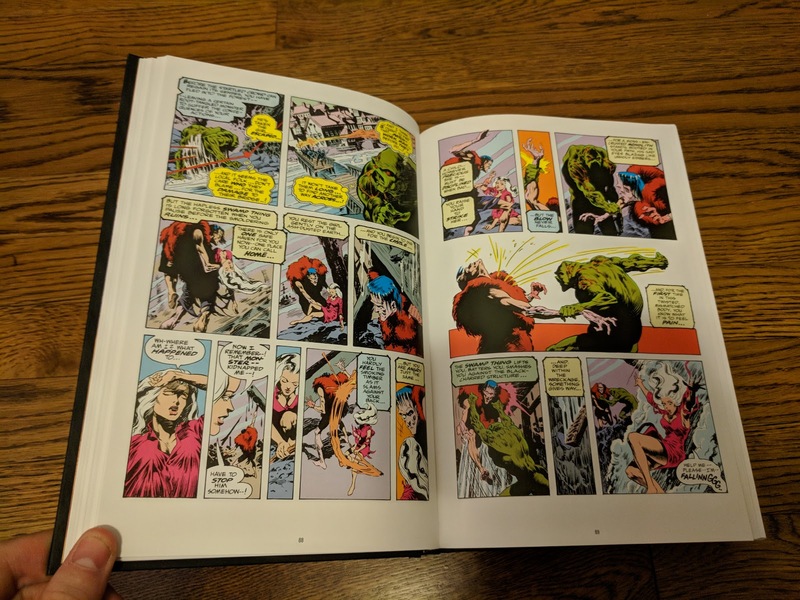 In my opinion, it is worth it for the ten issues of Wein/Wrightson magic alone. I am happy that I added this volume to my collection, and I look forward to adding and a nice oversize version of Moore's run next to this on my shelf (fingers crossed that we actually get it as expected).